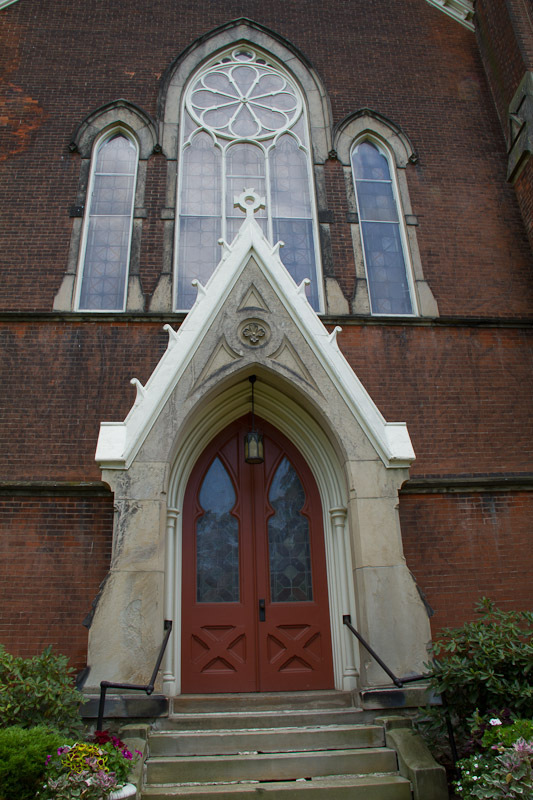 Doorway – Presbyterian Church – Westfield N.Y.
Doorway First Presbyterian Church - Westfield N.Y.
Straight out of camera, great looking doorway. Shot with a low angle camera position and a wide angle (17mm) lens causing some of the converging lines. 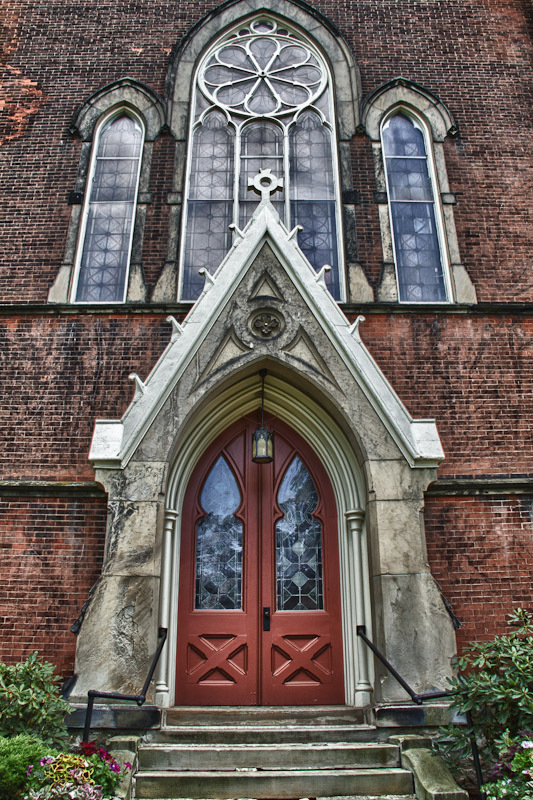 Doorway at the First Presbyterian Church - Westfield N.Y. I leveled out some of the horizontal lines to square up the image. Process the 3 images as a HDR, the scene really didn’t need a 3 frame HDR to get the detail in the shadow because the doorway was in shadow and an over cast day. I used the 3 images just to see what results I would get. Categories : Architecture and Real Estate Photography, Chautauqua County N.Y., Commercial Location, HDRI-High Dynamic Range Images, Location, nik software HDR efex, Westfield N.Y.